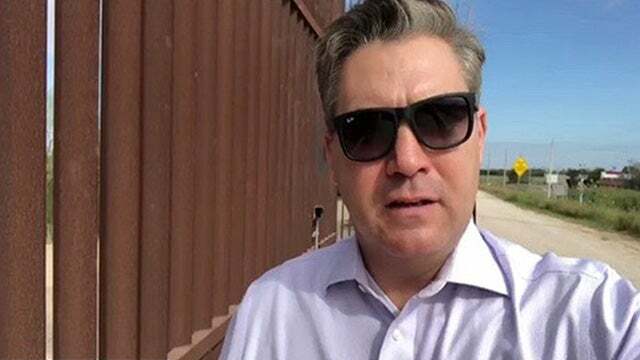 Jim Acosta Makes the Case for the Wall! RUSH: This is hilarious. And I have to show you, I have to use the Dittocam for this. Sorry if you're not a subscriber and don't have access to the Dittocam, but if you do, this is gonna be worth it. Put the picture up. You are looking here at a picture of Jim Acosta, the little gnat from CNN. He is in McAllen, Texas, in advance of Trump's arrival there, his trip to the border. This picture accompanies a tweet. I didn't put the actual text on the Dittocam. It might be too small. I'm gonna read it to you. This clown does not realize that he is making the case for a wall! The reason that there aren't any illegals and the reason there isn't a crisis is because there's a steel slat wall, and he's standing right next to it! No one is there because there is a wall there! They're going elsewhere to cross the border because there's a wall there. And there are people at the wall guarding it. But this clown thinks that he's proving there's no crisis by standing next to a wall and saying, "See? There's nothing happening here. There's no national emergency. No one's here." This is kind of like Yogi Berra talking about the most popular restaurant in town, “Nobody goes there anymore, it's too crowded.” What do you mean, nobody goes there, it's too crowded? This is just priceless. Jim the gnat Acosta. This is classic. He thinks he's so much smarter than Trump. He's so much smarter than anybody else and he's standing there essentially making the case for a wall by pointing out there isn't anybody at this wall and therefore there isn't any national emergency. Translation: Trump's so full of it and I'm down here very intelligently proving it. Okay. Back to the phones. Steven in Westchester County, New York. Great to have, sir. Hi. CALLER: Hey, Maha Rushie, how are you there? CALLER: My feeling on this is that if Trump does not use the emergency powers that he's granted, that this is gonna nuke any future presidents from using this power that they have. RUSH: Well, I understand what you're saying, but that wouldn't be the case. Trump is not using it because other presidents have, and there have been many presidents that never have used it. It's an existing power. There's also the Secure Fences Act. There's all kinds of things for Trump to rely on here. But it's expressly by an act of Congress. The National Emergencies Act is so broad-based, it dates back to 1976, and it is an act of Congress. They passed a law suggesting the president has these kinds of powers. Now, Trump is not obligated to use it so as to enable future presidents to use it. I don't think there's any kind of "use by" expiration date with these things. They come up as necessary. And as I say, there's a bunch of them still in force. Presidents long ago declared states of national emergency and still haven't withdrawn them. But Trump has said today that it'd be surprising -- this is a quote -- "Surprising if I don't declare a national emergency for the wall." I mean, we've got the audio. He laid into the Democrats today. He had a 15-minute little gaggle with the media before getting on the helicopter to go to Andrews to get on a plane to go to Texas. I should play some. 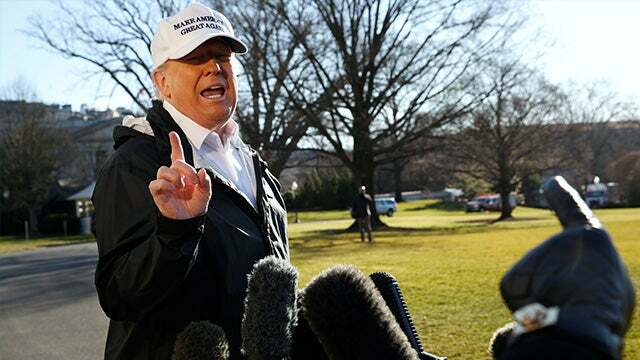 He just tore into the media today, particularly NBC, and explained that it would be surprising if he doesn't declare a national emergency.